Under the strict direction of our experienced engineers, we are offering a wide range of Tomato Ketchup Reconstitution Process Flow. Utilization of excellent quality resources and best use of manpower make these products more reliable and durable. Owing to its rugged design and proper functioning, these products render great usability. As an ace manufacturer and supplier of Fruit Juice Powder Plant, we have marked our name very strongly in the market. For economic transportation of Fruit Juice concentrates and reduction of volume, two third of the water from the juice is extracted through evaporation process & the resultant concentrate is transported to factories, where the same amount of water or vitamin contents that was extracted before, is again added back or reconstituted. Owing to perfection and quality oriented approach, we have carved niche in the industry by offering an enormous grade array of Fruit Juice Plant. 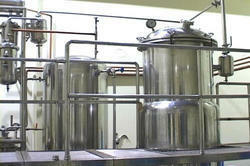 To ensure quality, these juice plant is rigorously tested on diverse parameters. 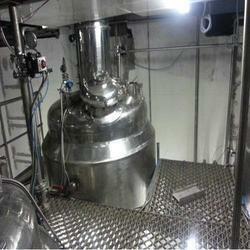 Clients can avail these juice plants from us in several specifications as per their needs.